Sibylle Hübner-Funk, RC 34 President from 1990 to 1994, passed away on 5 May 2014 in Munich, Germany. Sibylle was born on 6 January 1943 in Silesian Wroclaw. At the end of the Second World War, she fled with her family to live in western Germany, growing up in the town of Giessen. After her graduation in sociology at the Free University of Berlin in 1969, she began her research career at the Max Planck Institute for Educational Research, also in Berlin. After a short sojourn in Canada, she moved to work at the German Youth Institute in Munich, where she came to head the youth and politics unit, and then – until her retirement in 2006 – she coordinated the Institute’s international research affairs. 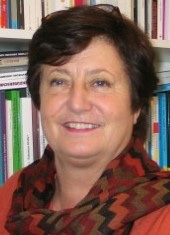 She had completed her doctorate in 1987, once again at the FU Berlin, and in 1996 she qualified for the professoriate (Habilitation and venia legendi) at the University of Paderborn with a socio-historical study of how those born under National Socialism grew up to build democracy in the post-war Federal Republic of Germany. In the mid-1990s she also spent two years at Paderborn and Hamburg for spells in university teaching and research.